The ageing Wi-Fi router transmitting from my kitchen was so reluctant to release its data that I was almost completely discouraged from my pre-ride goal. It was the morning Jack White’s new album Lazaretto was being released and I intended to download it to my phone before my pre-work ride. By the time I’d pumped up my tyres and grabbed the house keys the download was complete, so the anticipation of listening to the new album was able to coincide with my first ride on the Merida Reacto. Standing out on the sidewalk, the morning was quiet and still. Only artificial light allowed me to see. The suburban silence was soon to be broken by the first trains of the morning, but those would be halfway removed as I hit play and plugged a single earbud into my ear. Shaking the headset and squeezing the powerful Shimano brakes – as much out of habit as for safety – I then set off down the street. The Merida brand is an absolute giant of the industry. 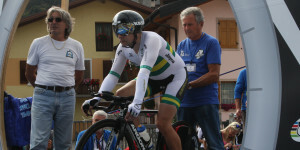 It has become one of the largest bicycle manufacturers on the planet, and while it doesn’t enjoy the same market success in Australia as in Europe, it’s popularity is rapidly growing on the home front. Part of this growth is most certainly attributed to the Taiwanese manufacturer’s acquisition of naming rights for the Lampre-Merida WorldTour team in 2013.  Known for its long-time support of mountain biking, this new development means the company has the former UCI Road World Champion, Rui Costa, aboard its bikes. If that’s not a reason to take notice of the Reacto then I don’t know what is. Costa’s transfer from the Movistar squad undoubtedly brought a huge amount of focus on the team and its equipment, and between the robust aero design of the Reacto and the off-the-shelf sub-6.8kg illegal (in the eyes of the UCI) Scultura, Merida is able to supply a quiver of bikes on par with any other brand in the WorldTour. For me, the first standout feature of the Reacto was the pedalling position. While there’s always an expansive variance in one’s chosen saddle position – mine is generally to the most forward scale of the spectrum – I was impressed by just how efficiently the bike pedalled. The lack of effort required to maintain momentum was paralleled by just how efficiently the machine accelerated under a more extreme effort. After installing a 130mm stem to the bike it became far more inspiring to climb out of the saddle when the road pitched up. The head tube is significantly higher than my own bike and this made for a far more spacious front end and a bike that climbed like few other aero frames I’ve ridden. 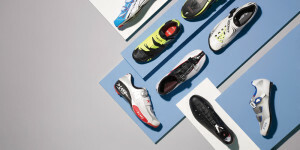 The side profile suggests an unforgiving ride that is ruthlessly stiff and ideal for shorter trips and aggressive racing, but this couldn’t be further from the reality. To my surprise, at the coffee end of some fairly arduous days out riding, I found that it had taken far less of a toll on my body than expected. I sat more upright than I do on my Focus and the low junction of the seat stays and the seat tube seemed to offer a little more cushion than I expected. 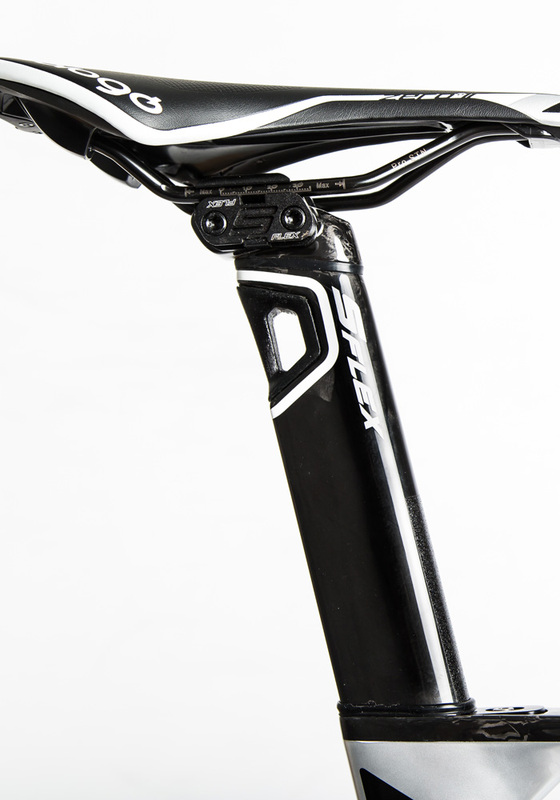 The specific S-Flex seatpost is designed to further enhance the rider’s comfort and is additionally impressive given the effective seat tube angle adjustment – between 72-75 degrees. It’s not just a straight-line speed machine. Merida intended it to be used against the back-breaking cobbles, and while I didn’t get to bash along any pavé, some of my usual training roads are far from perfect. A glance over the spec sheet for this model and you’ll get a strong impression that parts have been selected for longevity and reliability over weight savings. At 7.8kg it’s by no means a featherweight, though a lot of mass is accounted for by the Fulcrum Quattro wheels that come in at around 1,750 excluding skewers. The desire to switch them out for a race may be strong, but the outstanding Fulcrum hub quality – with Campagnolo’s traditional cup and cone system – is hard to beat. 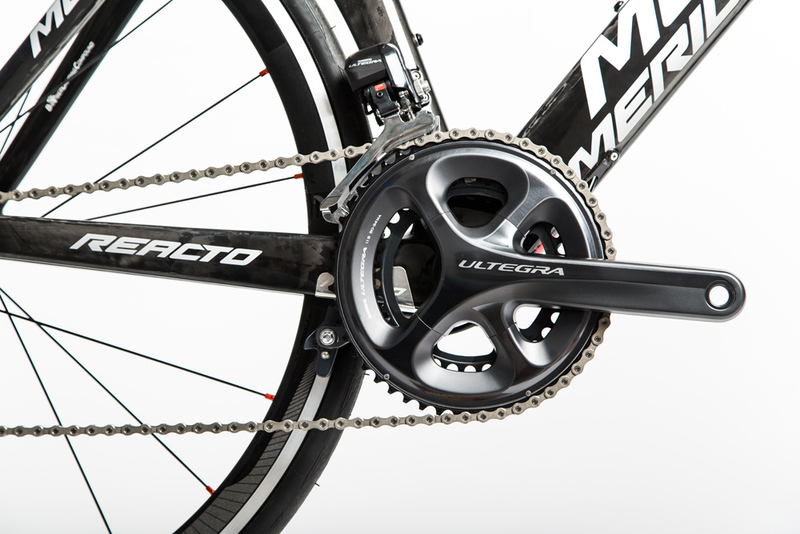 The Shimano direct mount brakes add to the clean look of the Merida while offering exceptional braking power. 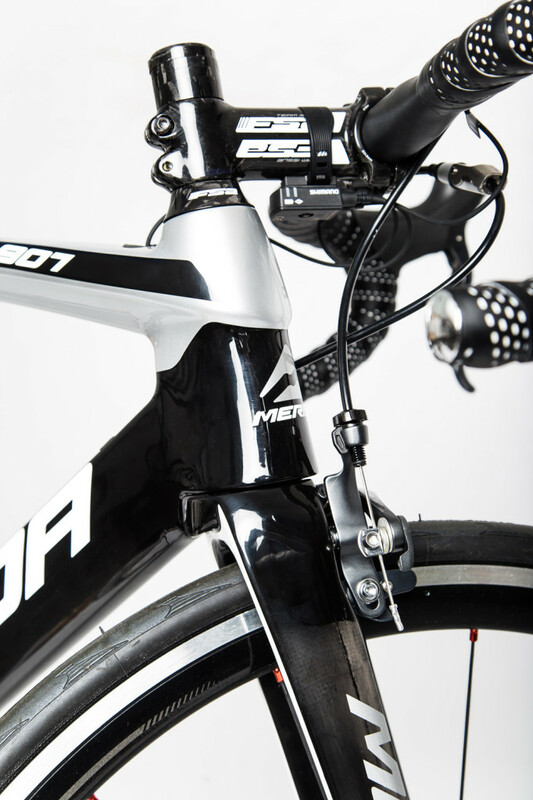 The cable routing is clean and minimal and the seatpost clamp is flush and secure. 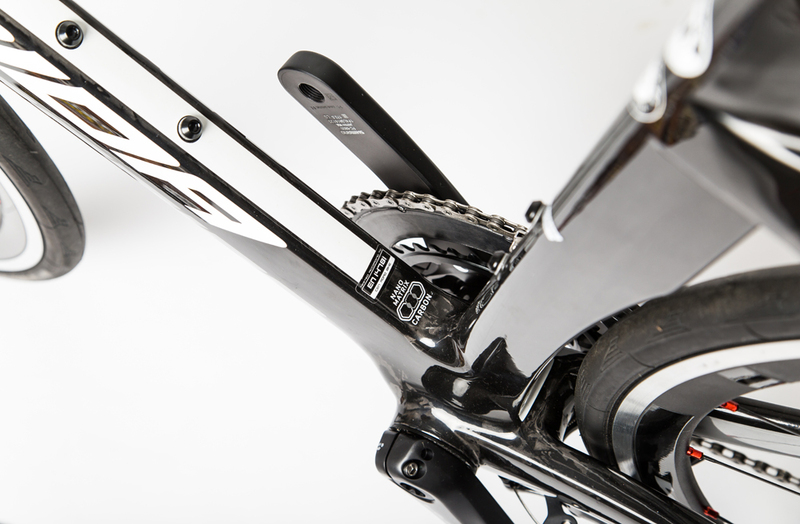 The only issue that may need to be resolved came from the full-length brake outer rattling inside the down tube. Some small rubber donuts or thin tubular foam can cancel this noise, but it seemed like the only poorly finished feature of the Reacto. Otherwise, the full internal cable routing is flush and clean from end to end. Brake rub when pedalling out of the saddle was not an issue at all (as it notoriously can be on other bikes that utilise the same brake mounting standard – under the chainstay), though rims with a wider brake track or more lateral flex may pose some issues. The detail: Large profile aero seatposts can often provide an overly firm ride but Merida go a step beyond the compliant rear triangle with the Reacto Carbon S-Flex seatpost. See that four sided piece toward the back of the post near the saddle rail clamp? That’s actually made from rubber and can be removed if you so wish. The top section of the post is designed to give a little – not as much as say a standard 27.2 assembly – but it’s the little things that always make the difference. There’s no question that having a strong sponsorship presence in the WorldTour will garner a stronger reputation for Merida in Australia, but its true strength comes from the progressive improvements that have been made to race-focused models to keep them competitive on price point and performance. Quite often I’ll keep the test period for a review bike brief – not unlike my listening habits when it comes to new albums. 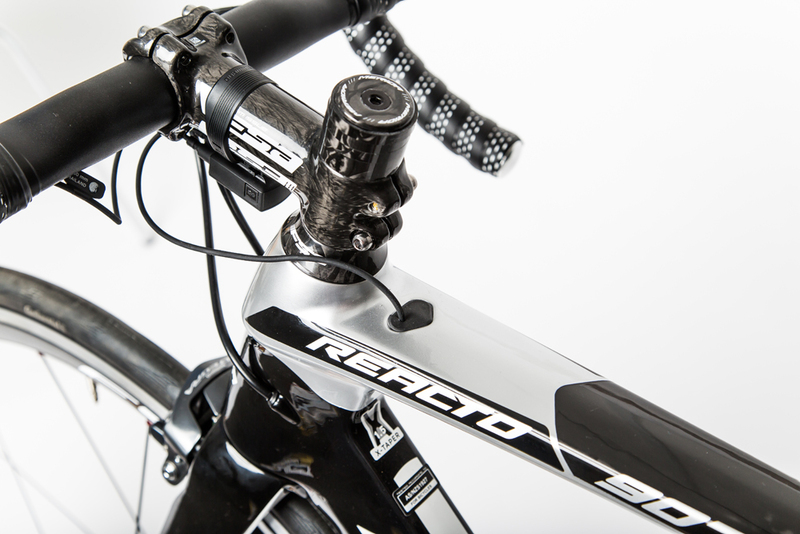 But there’s something a little different about the Reacto. Sometimes a bike will live up to the hype and other times it won’t. In this case it definitely has and, much like Lazaretto, I’m keeping the Reacto on high rotation. 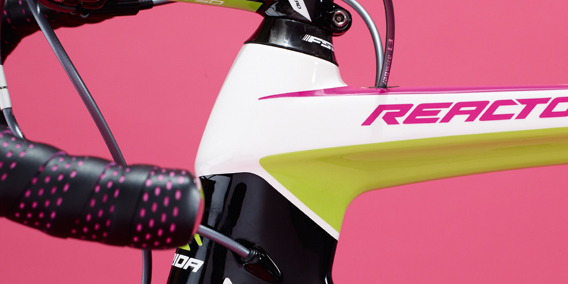 See the Merida Reacto Evo Team in Lampre-Merida colours.